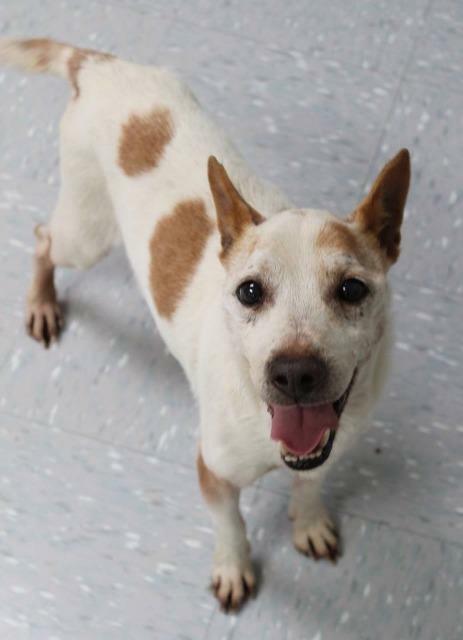 Joe is a 10 year old terrier mix. He was surrendered to the humane officer because he was kept in unacceptable living conditions. He has been neutered, heartworm tested negative, and caught up on vaccinations and preventatives. He does fine with other dogs, he will need to be separated when fed. He is not used to having food he doesn't have to fight over and doesn't like to share yet. This can definitely be worked with.